The second annual All Canada Aeromedical Transport conference (ACAT) is set to go in Mississauga, Ont. Nov. 21-23 and this year’s event promises to build on the strong safety foundation set by last year’s inaugural gathering. Hosted by Ornge, Ontario’s provider of air medical transport services, the conference brings together more than 30 air medical transport professionals from across Canada for educational enhancement and training opportunities in a variety of areas unique to the aeromedical transportation environment, including night vision goggle usage in a scene flight environment, AMRM, fatigue management, SMS, human factors, just culture, communication, emerging technologies, UAVs and more. The purpose of the event is to discuss safety practices, industry trends and develop a framework to enhance and share best practices. The conference is expected to attract delegates from more than eight fixed- and rotary-wing medical transport operators from across Canada. Event participants will also have the opportunity to hear from Kenyon International Emergency Service provider CEO Robert A. Jensen, who will be one of the key speakers at the event. A not-for-profit organization, Ornge co-ordinates all aspects of Ontario’s medical system, the critical care land transport program, paediatric transport program and the authorization or air and land ambulance between hospitals. 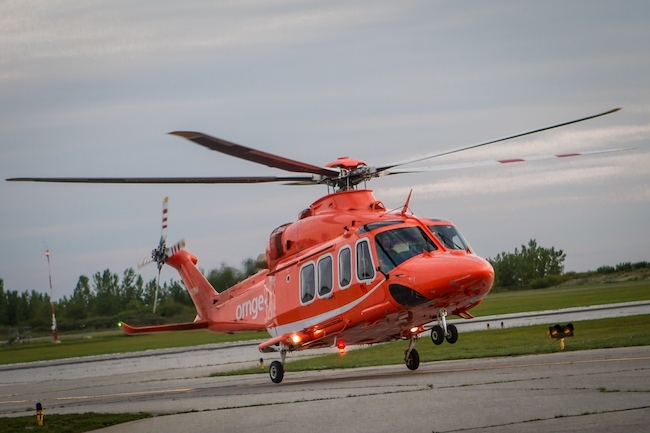 Ornge performs some 18,000 patient related transports in Ontario each year.